I had a coworker once, a woman with cerebral palsy who used a wheelchair. She was tiny and the chair was not motorized. When she was hired, our maintenance guys came to install a ramp at the door closest to her office. She stopped them as they were working on it to tell them it was too steep. “But it’s to code” was the answer. She showed them what a struggle it was for her to move the chair up such an incline by herself. “But … it’s to code!” They finally relented and adjusted the ramp, but I’m reminded of this story every time I hear “it’s to code,” which is a lot when it comes to accessibility in e-learning. When you’re striving for universal design (you are, aren’t you? ), try to think less about compliance for some and more about usability for all. I find that many who talk about making products “accessible to those who have visual impairments” tend to conjure up visions of people with white canes or guide dogs. But lots of us wear glasses, some for very specific uses, like close reading. Many others have invisible accommodations like contacts or surgical corrections. My husband, who is post-surgery for removal of a brain tumor, prefers to enlarge the font and invert the colors on his phone and iPad. For the record, few staff at our North Carolina School for the Blind and Division of Vocational Rehabilitation even use screenreading software like JAWS that Section 508 standards are designed to accommodate. Most of them deal with low vision rather than total blindness and prefer to use a screen magnifier tool like ZoomText or pinch gestures on a tablet. Both of these approaches can, for instance, push things like Next and Submit buttons out of view. The biggest complaint I hear from our staff with vision issues, by the way? Problems with contrast. So rather than making products accessible just to meet regulations, consider: What all might interfere with someone’s ability to read material? Why might someone prefer not to read? Think about learners who have dyslexia or other conditions. Or about learners for whom courses are not in their first language. I find in much writing about e-learning that workers with literacy issues are overlooked. Not everyone is a strong reader, and some people may actually prefer to listen to an audio-only version of material. Much like folks with vision challenges, people who have hearing loss have a wide range of needs that might not be covered by Section 508 regulations. Rather than making products “compliant” just for those who have hearing loss, consider who else might have trouble hearing, like workers in a loud factory, carpentry shop, warehouse, or even in a retail setting. One of our divisions has an entire job class—more than 10,000 people—who must complete their e-learning assignments at kiosks that have no sound. And how many of us now routinely turn closed captioning on for TV programs at home? Usability over “compliance” goes for mobility issues as well. Think about your grandma, who struggles with arthritis. How does she do with the keyboard on her Kindle Fire? Would she prefer a Bluetooth old-school keyboard? How about a special “big keys” keyboard, or one with white keys and black letters? Or would she prefer to use tab keys and the spacebar? Does she do better with a mouse or a trackpad? Depending on how she navigates, she might have trouble with, say, a drag-and-drop or slider interaction. Can you replace that altogether, or offer her an alternative? Note: The iOS VoiceOver tool is a full-on screen reader much like JAWS, and turning it on will affect the gestures you use to control the phone. Read up on it before trying that particular feature. Try enlarging text and seeing how that affects what you see at one time. Turn the sound off and try reading your own captions—which, if they are “to code,” are only in 9-point font, so good luck with long courses. Check out some new technologies like this wonderful eye gaze communication software. How might this evolve in the next few years, and how might we all be using it? 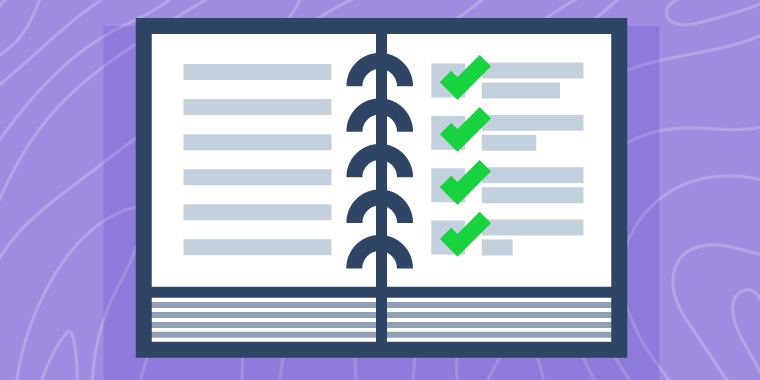 Thinking about the broad range of challenges that your learners might face will help you create e-learning that’s more than just regulations-compliant. The big question: Can everyone who wants to take your courses see, hear, and navigate them? Start with universal design in mind and you’ll find that an easier question to answer. Jane Bozarth is the e-learning coordinator for North Carolina state government. She is the author of many books, most recently Social Media for Trainers, Show Your Work: The Payoffs and How-Tos of Working Out Loud, and the updated edition of Better Than Bullet Points. Before moving to North Carolina’s Office of Human Resources, Dr. Bozarth spent a decade working with clients at the North Carolina Department of Health and Human Resources; among the takeaways from her time there are a passion for universal design and an interest in assistive technologies. Follow her on Twitter at @JaneBozarth and find more details about her work here. You've raised great points that I've never consciously considered. Thanks Jane, as always. This is great, Jane! I am a huge fan of the evolution of WCAG and coming section 508 guidance that focuses on how to help people rather than checking a box. Limited vision and hearing are common challenges. As is color vision. Asking users that contend with these what they prefer is a really powerful way to set up a good, better, best matrix of specific methods for helping with these challenges. Every user will answer this query a little bit differently. Asking and testing yields far better results than not asking and not testing. Good stuff. I was actually at an elearning symposium last week where they had a blind man go through an elearning course to show the developers what the experience was like and to get some feedback to help build better experiences. It was a valuable lesson. Actually working on a post that covers many of the same points you did. Jane, as a dyslexic, thank you for remembering to include us in the accessibility community. I find that organizations often don't think about our needs, probably because they figure we've developed our strategies and mechanisms, and we will use them. Use of universal design really helps the array of learning differences/disabilities in organizational learning endeavors. Wow. There are great points brought up here. This was a very interesting read. Thank you! Thank you for this article, Jane! We need more people writing and speaking about this topic. It affects all of us. As a friend told me this week, "to put it into perspective, we are all aging towards disability." I would like to see more showcase examples of well designed, usable, and accessible elearning with different tools. Perhaps Articulate can highlight some of the best they've seen in challenges or other submissions. I'd like to see more, too. We're kind of beholden to the people who actually build accessible courses at work and not the simple modules they usually show in the challenges and demos they share with us. I think we'd lean on people like you who build real courses. What demos can you share? I think one of the requirements for challenges could be that it needs to be accessible. That would be a good way to motivate people to learn and provide opportunities to teach best practices. We're rebuilding some courses for a client right now to make them more accessible. I'll share if I can. Thanks Jane! This is a great reminder to all and a responsibility we as a community should embrace as part of our practice. Similar to the 10k workers in loud environments who access via kiosks, my former corp job of 40k+ geographically dispersed audience accessed via terminals in customer-facing retail terminals. No audio was a requirement in elearning projects as well as a challenge in some cases as a designer. As designers, we can account for some vision challenges with color and composition with little to no impact to a project's timeline. I don't have any to share (proprietary) at the moment, but will if I can. I really appreciate all the comments, everyone. Glad so many people found this helpful. thanks jane for sharing important things in E-learning. Thank you Jane, I became familiar about 508 only because I worked for the CDC and the Federal government "has" to be provided. I found that's super helpful to find out who the audience is to better accommodate to everyone's needs. Thanks Jane! I love your focus on "what works" vs "to code". I have a background in Human Resources and have worked to provide effective accommodations for employees. The best solution is normally found when looking for simple solutions that make sense. I also like your recommendation about experimenting with the settings on your phone. I’m the youngest of 6 children and I’ve been teaching my senior citizen siblings about these options on their phones. Lots of non-seniors also find some of these settings very helpful! Recently a co-worker attended a seminar about providing online training for college students and came back with the recommendation that we provide audio narration with every course and no longer build no-audio courses so that we serve the needs of employees who are dyslexic. However, I’m concerned doing so would impair learning for others because of the redundancy principle (Clark & Mayer, E-Learning and the Science of Instruction). My own thinking is if we’d normally build the course as a no-audio course then the audio narration could be provided with a button to turn on the audio for those few that have that need. I’d love to hear other’s thoughts about this. My own thinking is if we’d normally build the course as a no-audio course then the audio narration could be provided with a button to turn on the audio for those few that have that need. I’d love to hear other’s thoughts about this. In reply to your thought above, I'd like to say we did this for one of our clients of our company and they really appreciated it. I'd say go for it! Right-- narrating every word can hurt learning for some. Best to have options: captions that can be turned on or off, audioon or off, option for fullscreen, etc. My sister is both legally blind and deaf. You've brought up some points I hadn't considered. Thank you. Thanks for sharing that. I hope I've contributed a tiny something that will make her world a little bit easier someday. That's a great tip -- thanks! Thank you so much Jane for your passion for creating a new world view about inclusive design that goes beyond compliance and hits at the heart of why it is important. So much respect! We have recently had some projects that brought this to light in a real way. The Washington State Department of Licensing recently strived for accessibility for those who are blind and landed at something much greater. My friend Marge explained to me that they were hesitant to put their drivers guide in a format that was accessible because "everyone who can drive can see". Marge pushed back, and the result? The passing rate of teens across the state sky rocketed. Why? Some teens learn better when they can hear as well as read the text. Also, our blind friends who can't drive still want to read it. A win for everyone. I have many more examples like this from our state, and when I read your wisdom, it encourages me. Thank you so much. Yep. The comment I once had to deal with was, "Blind people won't do this work." Thanks for fighting the good fight! Thank you for this article! You hit many important points. One area you ALMOST touched on, I would like to bring to your attention is that of Deaf learners. You did mention captions, BUT... To those who are culturally Deaf (using ASL as main mode of communication) captioning falls far short. For these individuals, English is a second language, and you would be surprised at how few are bilinguals. Captions as written text is merely a visual code for how spoken English SOUNDS. Useless to those a who have never heard. Accessible language, the plainest of plain language, goes much farther in making eLearning usable to the Deaf. Visuals of the CONCEPTS, not the words also go a long way to bridge the communication gap. Idiomatic usage, plays in words, flowery language and metaphors, all create barriers to not only Deaf, nut many of the near 50% of our population with low level literacy issues. In fact LITERACY is the most prevalent, yet least considered "disability" In our field. Ask me, I'd love to tell you more. Thank you for your comment Ande. As a sizable portion of my target audience is comprised of learners with low literacy skills I share your interest in this. (I was initially hired by the State as a literacy tutor, in fact). I did mention literacy issues, including learners working in other languages, in the early section describing people who might prefer audio to the written word in any form. Interesting read. Since we mostly design courses for the Federal Government, all of our materials need to meet the Section 508 rules. Its a continuing learning cycle figuring out how to make a course interesting to all while still meeting the guidelines. Sundae brought up a good point when she mentioned why make the driving guide compliant. In our case, there are document and course reviewers in the government that use assistive technology and run our material though a 508 checklist. Using Sundae's example... while they may not actually drive, a blind reviewer can still check the document/course content for accuracy and consistency. One thing not mentioned - developers do have the option to design for both worlds. We've had a few instances where we delivered an alternate format of training specifically for 508. I recently completed the Accessibility: Designing and Teaching Courses for All Learners course through Canvas. It was excellent. Here's one resource shared in the class. http://www.pcc.edu/resources/instructional-support/access/ The step-by-step guides are easy to follow and will give you an idea of some quick changes you can implement. Thanks Jane for this reminder. Another accessibility issue that is simply glossed over has to do with animation and flashing. As the movie world seems to target so much in 3-D and animation, we have followed suit with our eLearning. Much of the animation used is excessive and creates HUGE issues for those users who have vertigo and nausea issues. Apple recently (within the last couple of years) had major problems with a new release of software for its iPhone. So while Articulate has so many features that allow us to be creative, many of them can cause great harm to a user. I'm definitely going to focus on making changes to my design and development to support accessibility but keep eLearning fun for learners.